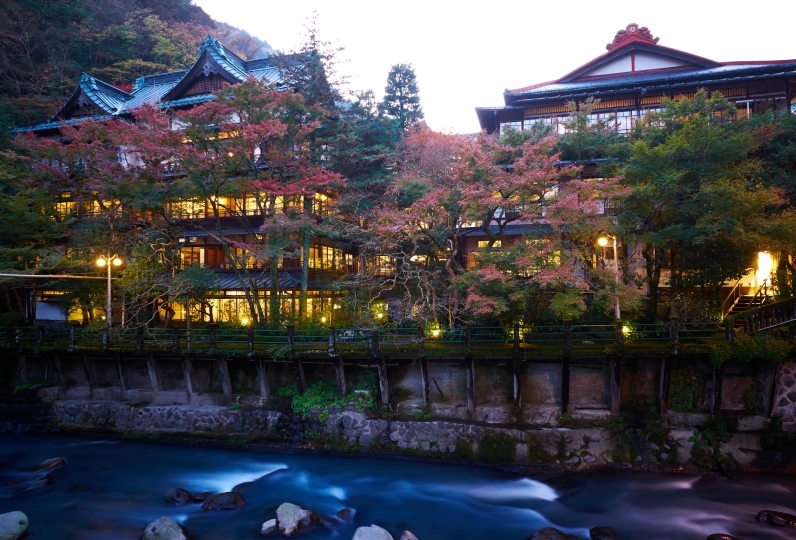 Immerse yourself in the bountiful greenery of Gora, Hakone. 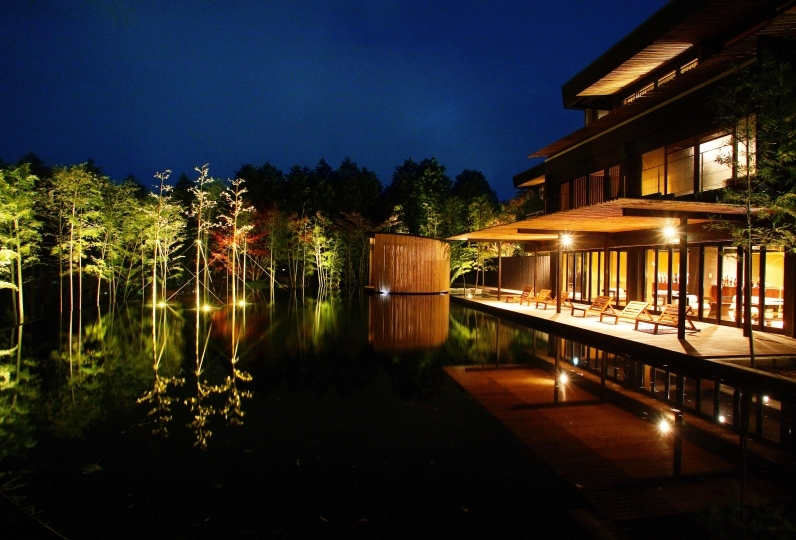 "Yunosumika" is an onsen inn that blends the traditional with the modern. offer magnificent views of the sprawling nature. The living room, equipped with a traditional hearth, is maintained at comfortable temperatures by the heated floors during winter and naturally-cooling tatami & wood flooring during summer. The onsen, named "Shirahana no Yu", pulls hot water from Okuwadani. 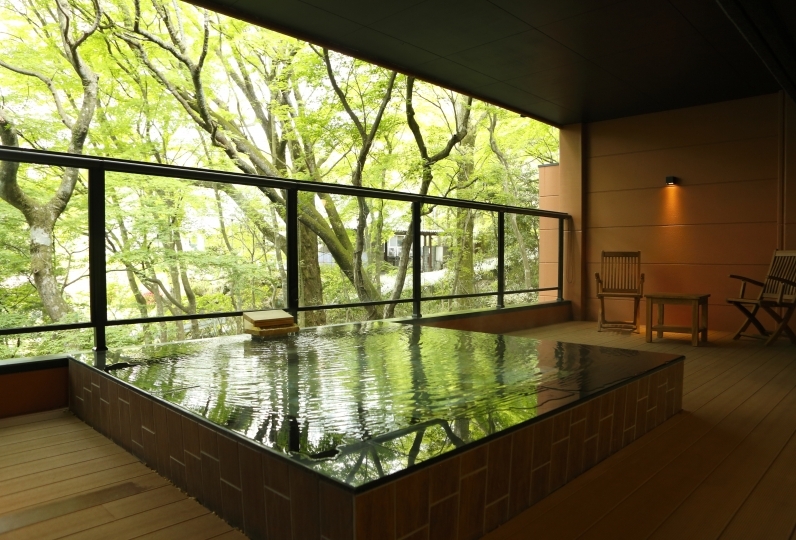 Guests can soak in the tub and cherish the Japanese garden that changes expressions through the four seasons. breakfast comprises healthy dishes with vibrant colors. 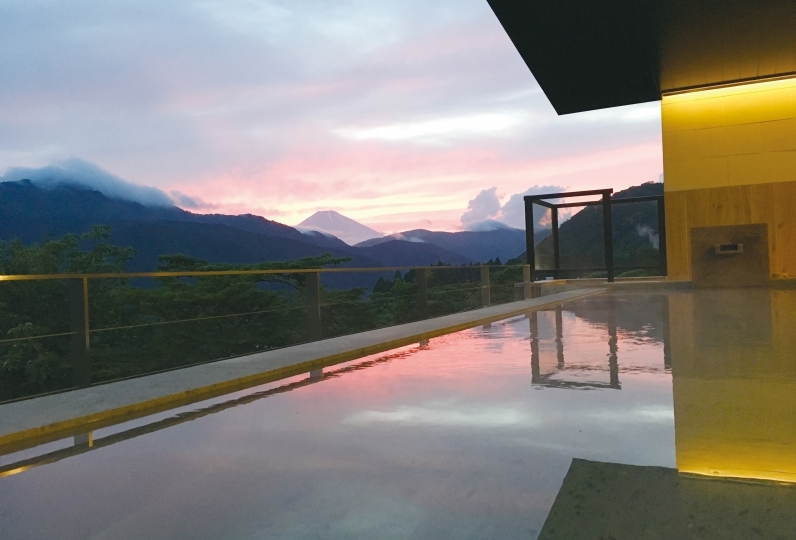 Visitors can dine while gazing at the Gairinzan mountain range. Loosen up and disconnect from your daily worries. Visit our nature-filled resort, where you can start a new journey. Dinner was served in Western style. We upgraded our steak to the Wagyu tenderloin with an extra ¥3500 per head which we ... Read more Dinner was served in Western style. We upgraded our steak to the Wagyu tenderloin with an extra ¥3500 per head which we found it not tasty at all. Overall the dinner was far below my expectations. Dinner was served in Western style. We upgraded our steak to the Wagyu tenderloin with an extra ¥3500 per head which we found it not tasty at all. Overall the dinner was far below my expectations. After saying that it was a celebration of the 60th year, I was impressed by the message from the dessert at dinner. I was very happy to have a birthday cake for dinner. The food was delicious and I was able to spend a good time. It was disappointing that I could not enjoy the view in the fog the next morning, but that also became good memories. Thank you very much. 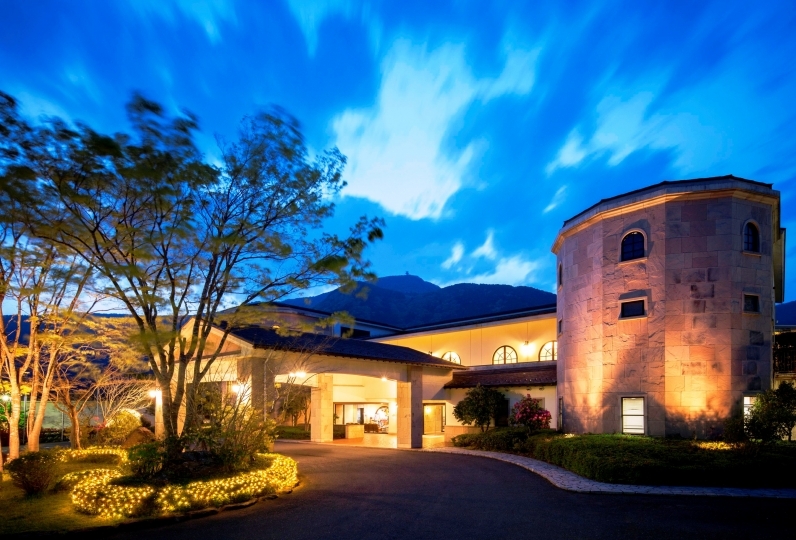 The restaurant overlooks the mountain range of Hakone's Gairinzan. 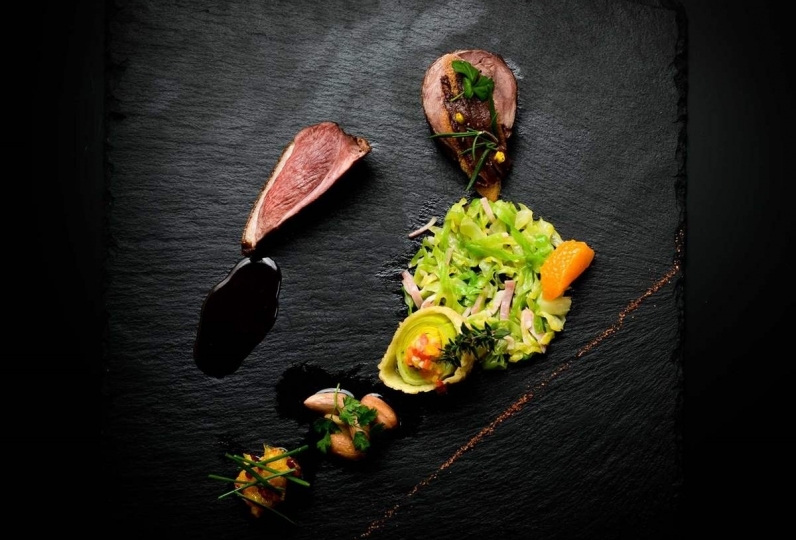 The dinner, "Wa-Nagomi-Fusion", accentuates Japanese cuisine with Western elements and the health-conscious breakfast uses over 10 kinds of vegetables, fermented foods like miso and koji, and ingredients in the 5 colors: white, black, red, yellow, and green. Communal Onsen "Shirahana No Yu"
The onsen draws water from Okuwadani, which is located within the volcanic zone of famed Hakone Mountain. 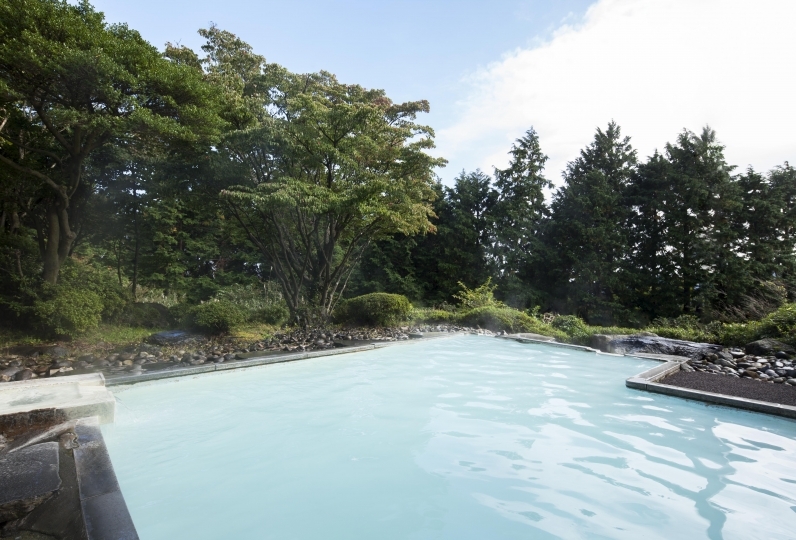 The outdoor onsen is surrounded by a Japanese garden where guests can see autumn leaves during fall and snow during winter. The water has contents of sulfur, calcium, and other minerals that provide benefits for the skin and blood flow. 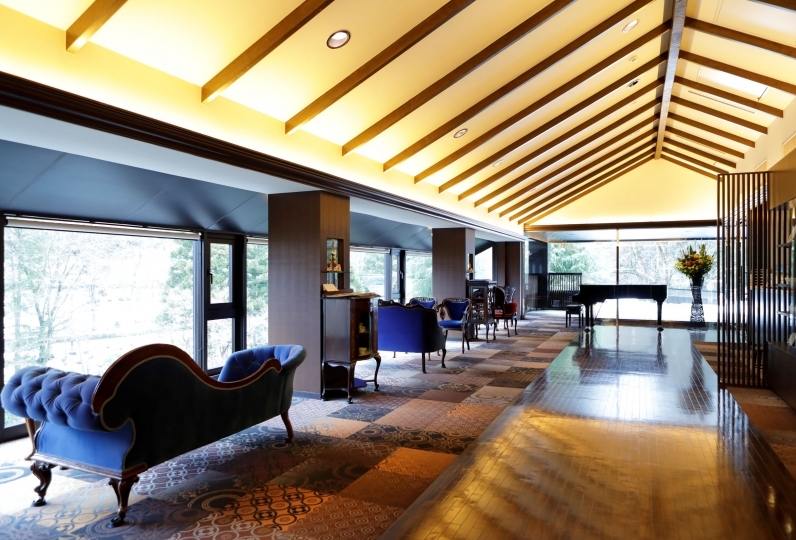 Guests are met by a modern hearth and entrance lobby that fuses traditional and modern Japanese design. Guests can relax as if it's their own home by taking their shoes off. 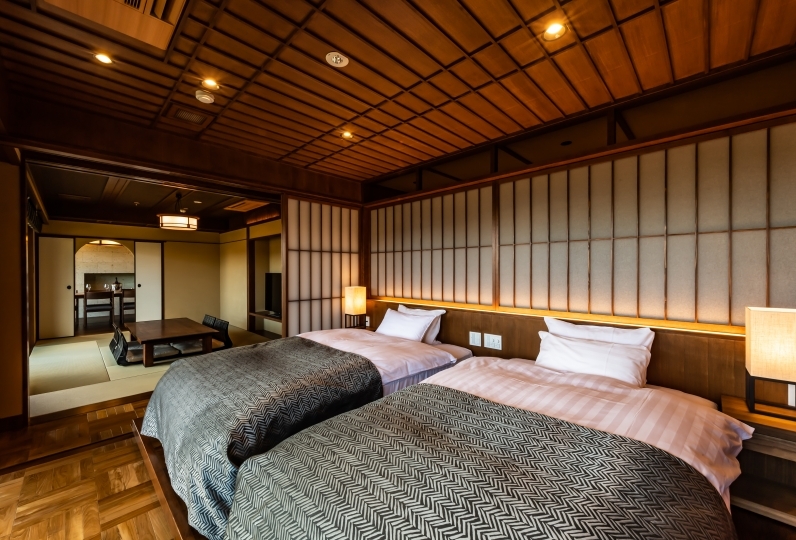 Visitors can feel the seasons through their feet: the floor is heated during winter and the tatami and wood flooring naturally cools the room during summer. 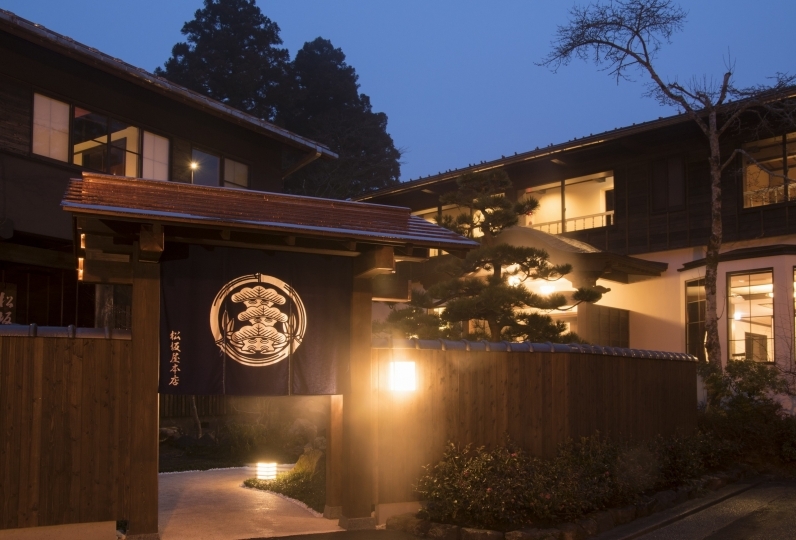 The shop sells various goods that spotlight Hakone and Japanese craftsmanship. 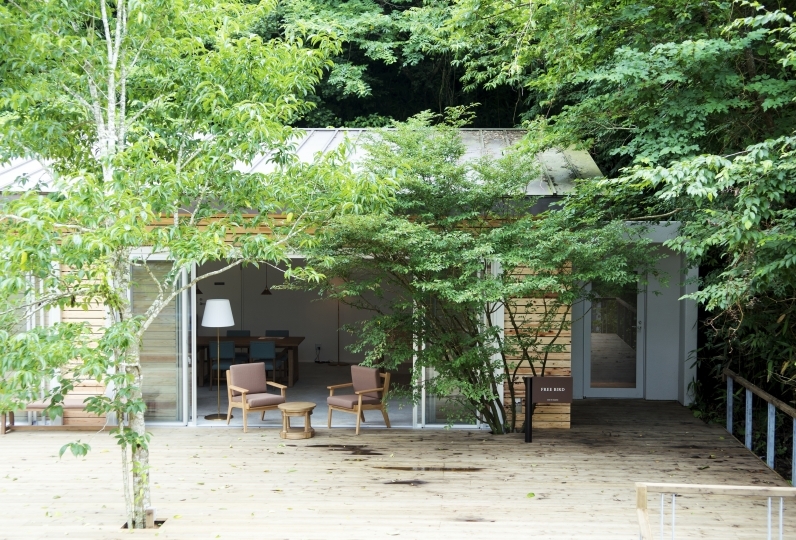 For example, the shop stocks traditional Hakone woodwork made by local designers and cutlery sculpted from trees grown in the Hakone mountains. From Hakone Yumoto Station on Odakyu Line, take the Hakone Tozan Train to Gora Station. At Gora Station, transfer to the cable car and disembark at Naka Gora Station and walk 5 minutes to hotel. 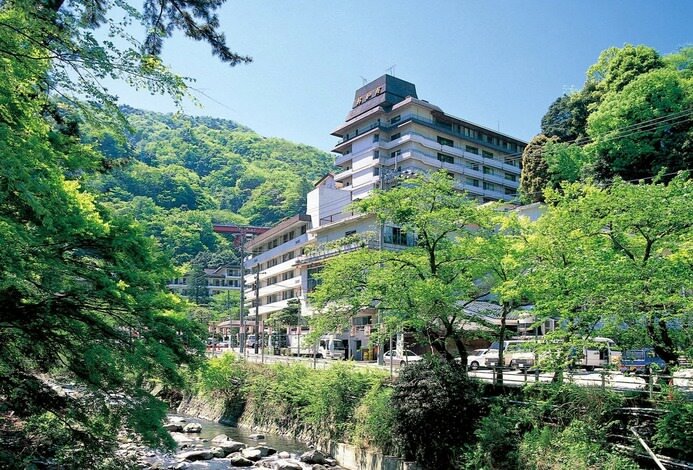 From Odawara Station on Tokaido Shinkansen, take the Hakone Tozan Train to Gora Station. At Gora Station, transfer to the cable car and disembark at Naka Gora Station and walk 5 minutes to hotel. 62 of people have viewed this page within the past 24 hours.